Figure 1 from Ochocki and Miller (2017): Rapid evolution of dispersal ability makes biological invasions faster and more variable. Nat. Commun. This figure shows summary data from experimental invasions of Callosobruchus maculatus across landscapes of Petri dish "patches". 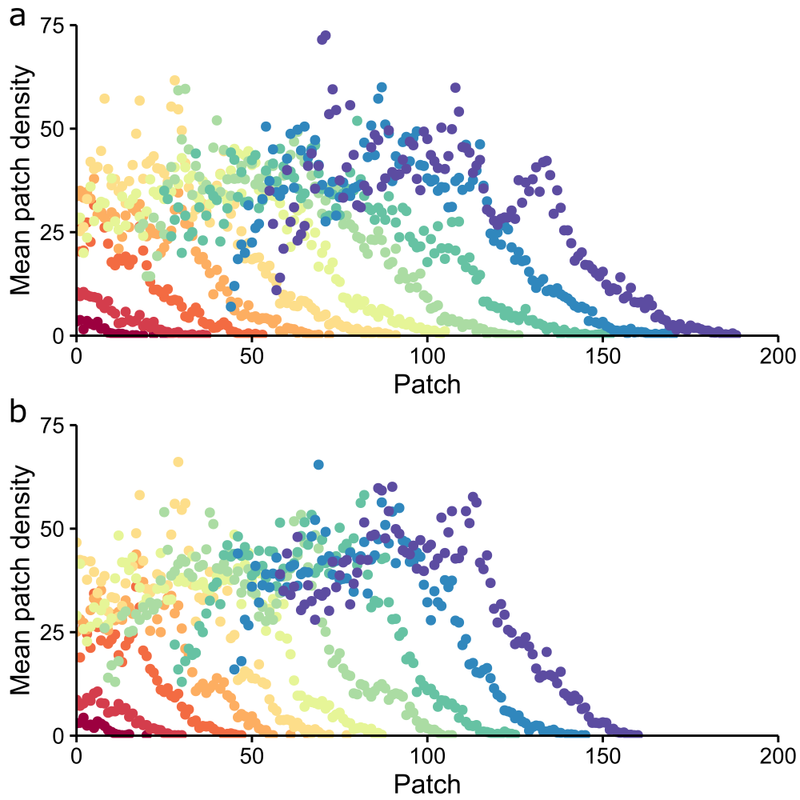 Points show the mean population density in each patch, averaged across replicates, for (a) spatially sorted and (b) spatially shuffled invasions (nine replicates each). Invasions spread from left to right across the x-axis (patch number) over time so that each colored wave represents a different invasion generation. On average, spatially sorted replicates traveled farther and faster than shuffled replicates after 10 generations.